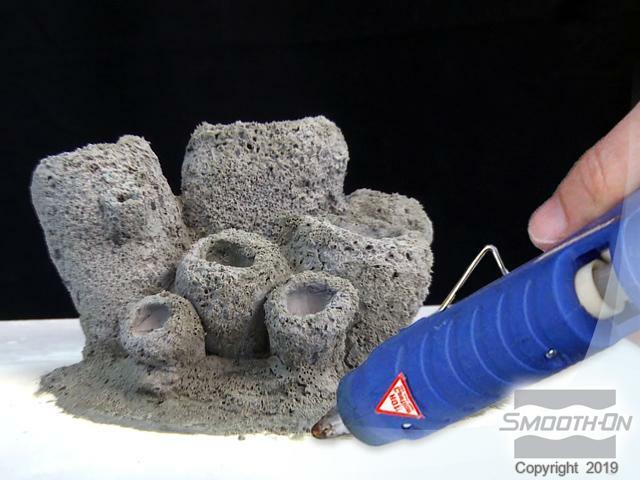 You can create perfect copies of any original Sea Sponge model using mold rubber and liquid plastic. 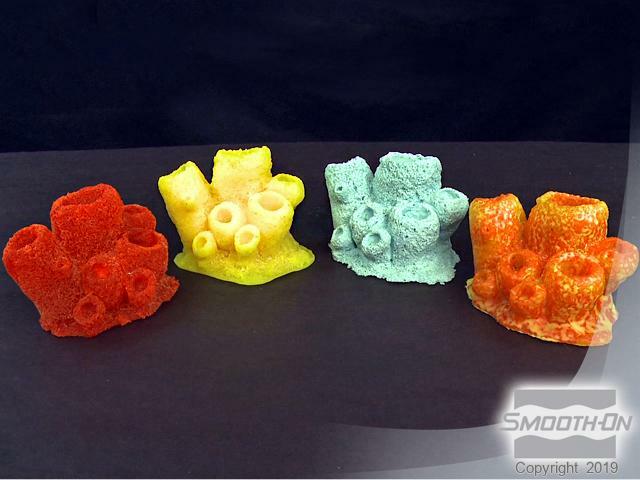 Using different colors, you can create a limitless variety of casting effects to make plastic Sea Sponge display pieces that are one-of-a-kind and unique to your aquarium. Start with an original model. This plastic sea sponge was acquired from a local pet store. Secure original model to a flat base (melamine board) using a glue gun. This will ensure that the original does not float in the liquid rubber and prevent the liquid rubber from flowing underneath the model. To contain the liquid mold rubber, the model is surrounded by a clear acrylic tube. Minimum distance between the outer edge of the model and the inside wall of the acrylic tube is at least 0.5' (1 cm). 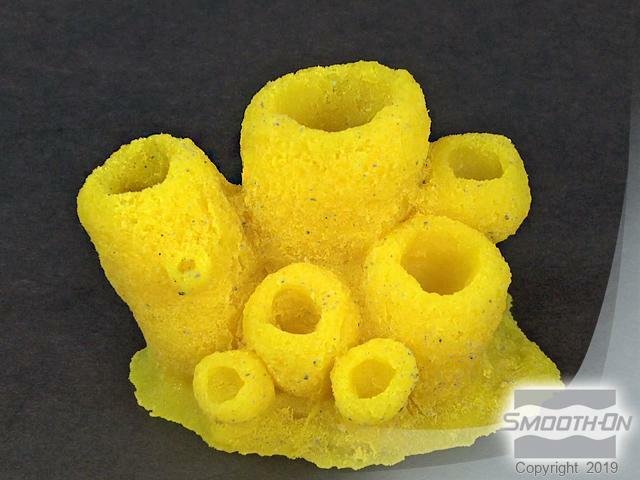 The Sea Sponge original model is highly detailed with deep undercuts. 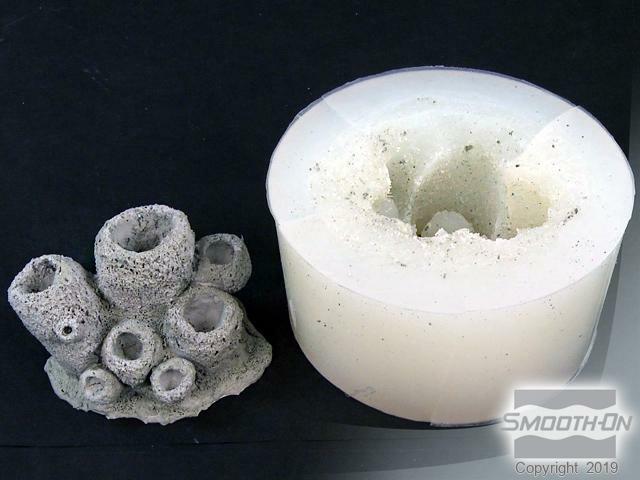 Choosing the wrong mold rubber will result in sticking or damage to the rubber mold. 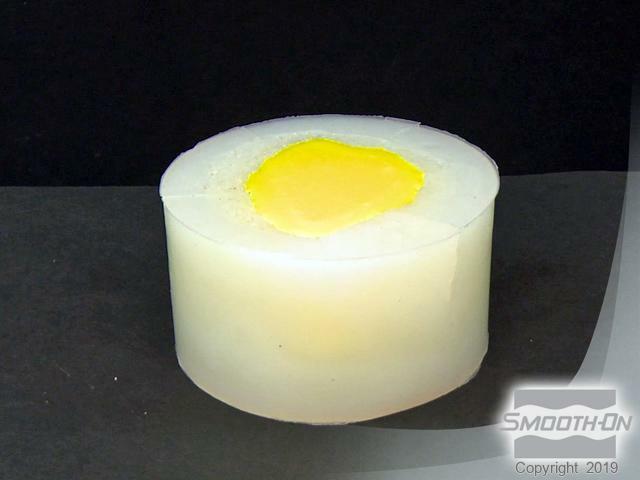 The best mold rubber choice for making a mold of this piece is Dragon Skin 10, which is a soft, elastic silicone rubber with very high tear strength. Dispense part A of Dragon Skin 10 and then seperately dispense an equal amount of part B. Mix parts A and B together thoroughly. 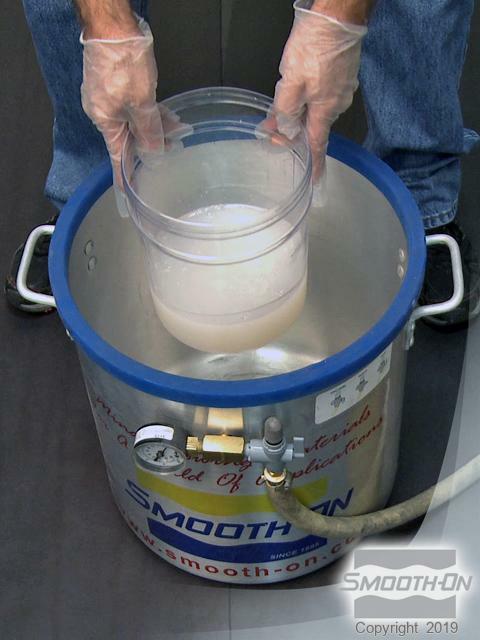 Place your mold rubber into a vacuum chamber to remove air bubbles. 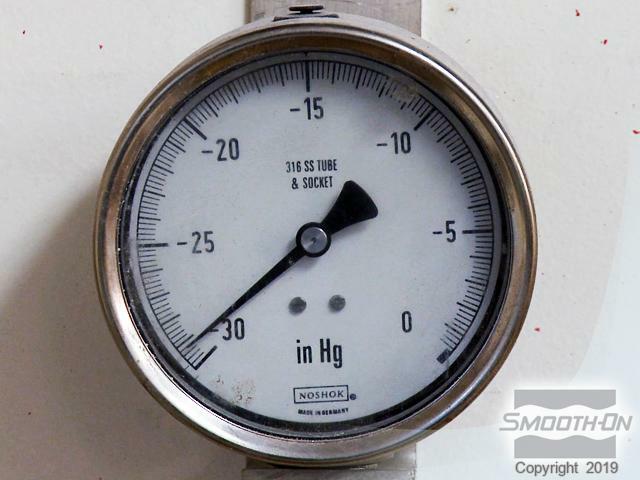 Your vacuum must pull 29 inches of mercury for complete vacuum. 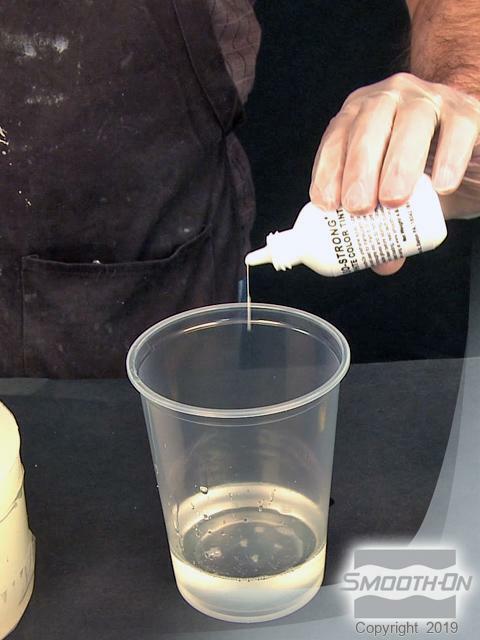 Pour the rubber into the lowest part of the containment field in a long, thin stream. Let it rise over the model and seek its own level. Let the rubber cure for at least 5 hours. To demold your original, cut the cut the clear acrylic tube and remove it completely. Lift the entire mold to separate it from the base. Warning: the next step involves cutting with a razor knife, be careful. Using a razor knife, cut the mold at 12 o' clock, 3 o' clock, 6 o' clock and 9 o' clock. A helping pair of hands can separate the rubber along the cut line and hold it open as you make your cut. Work the original model out of the rubber mold. Because the original has deep detail and undercuts, it will grab onto the mold. 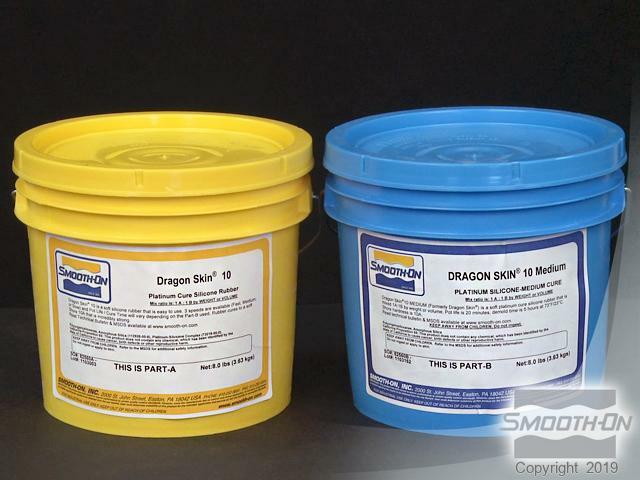 Dragon Skin was chosen as the mold material because it is incredibly strong and stretchy. It will meet the challenge of demolding this original. 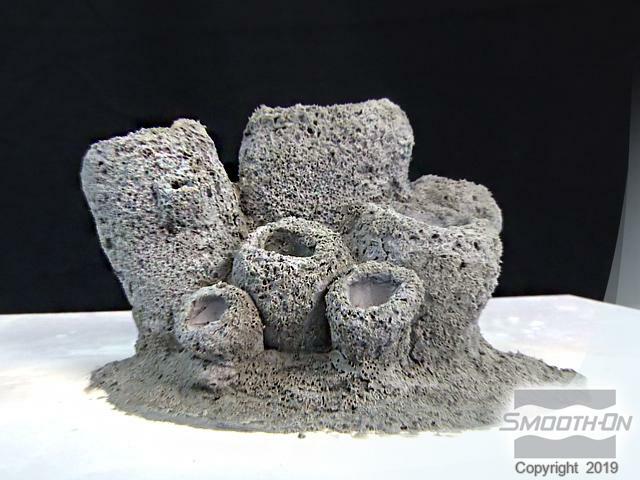 The mold has captured all of the surface detail from the sea sponge and is ready for casting. Remove the tape from the outside of the mold in order to demold your casting. Gently pull and work your casting out of the mold. The casting is an exact replica of the original. You can vary and combine color pigments or paint your finished piece to create an infinite number of casting effects. 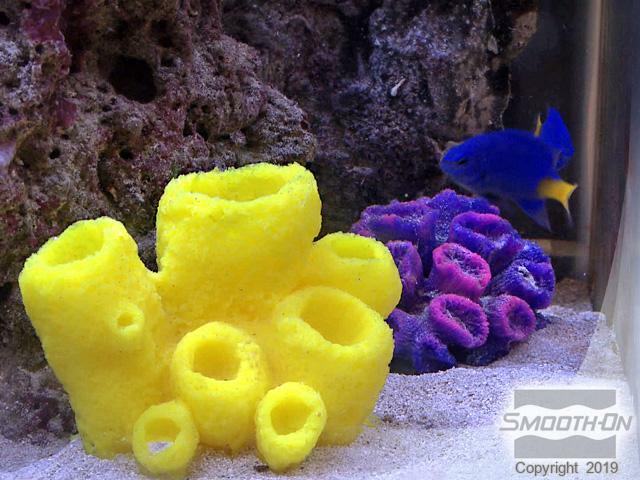 You can create a variety of sea creatures for your aquarium. View our other videos and galleries to learn how. Apply tape around the mold to hold the cut seams together to prevent leaking of the liquid resin during casting. 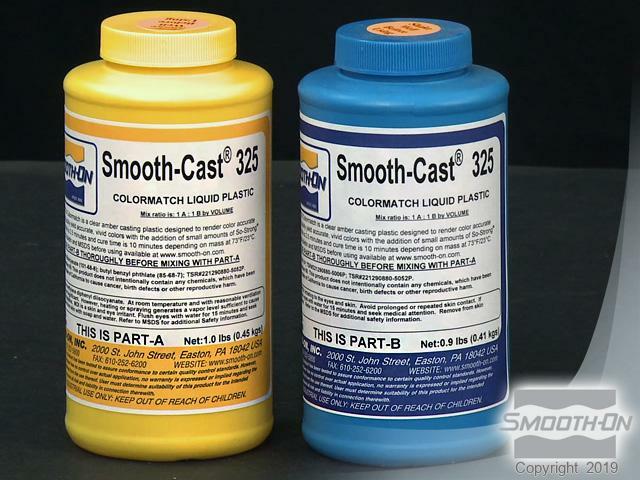 Smooth-Cast 325 COLORMATCH is used to make the casting. It has a 1 part A to 1 part B by volume mix ratio. 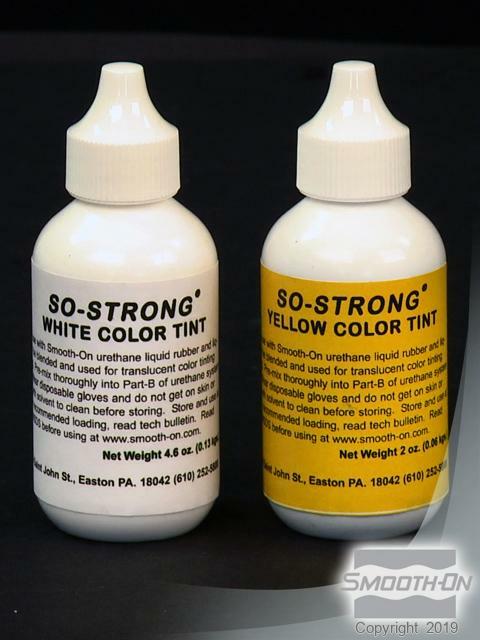 Dispense equal parts of A and B. SO-Strong Color Tints are used to pigment the resin. Adding SO-Strong white to your translucent resin will make it opaque. Mix the tints until there are no color streaks. 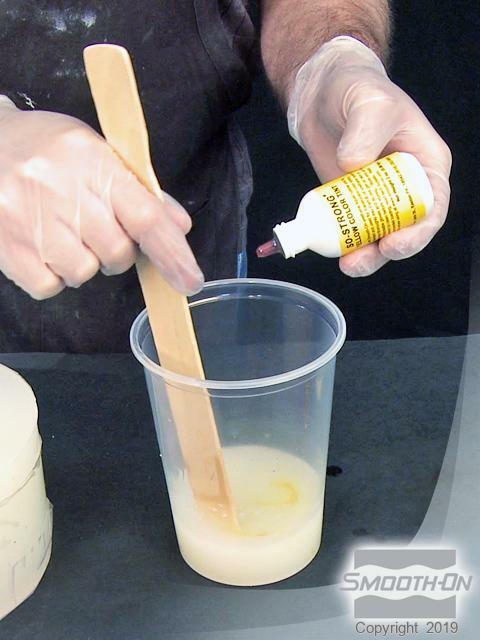 Pour the resin into the lowest part of the mold in a long, thin stream. Allow the resin to cure for at least 10 minutes.